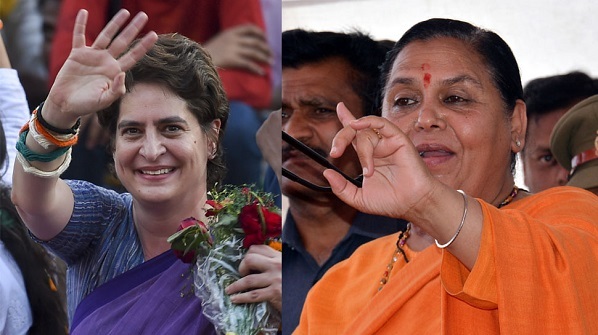 New Delhi: A day after calling Priyanka Gandhi Vadra “chor ki patni (the wife of a thief)”, Union Minister Uma Bharti said she knows the words might have hurt, but “brother (Rahul Gandhi) and sister (Priyanka) need this dose”. She also said she felt pain and anger when the Gandhis attacked Prime Minister Narendra Modi. Today, she doubled down and reinforced her attack on “Mrs Robert Vadra”. “This family should learn the lesson that they are not reincarnations of god and the people of India are not their subjects. The brother-sister need this dose,” she told reporters. “It’s true that my words must have caused pain, but the siblings called PM Modi “suit-buit wala chor (suited booted thief)” and said “chowkidar chor hai”, didn’t we feel pain and anger,” she added. Uma Bharti also said the Congress should be glad she hadn’t called Priyanka Gandhi a thief too. “When Robert Vadra’s wealth shot up, was his wife unaware,” she asked. Priyanka Gandhi’s husband Robert Vadra has in recent months been questioned by investigators in several cases, including one allegedly involving money laundering.